“In the Beginning the World was” In September 1967, whilst still at School, Paul Terrence John O’Neill lost his second drumming job (the first when he was 13 with a group of oldies who played Shadows at the Rock Hotel pub at the end of Kent Street) and was incensed, because the drummer he was replaced by could only claim that he was a friend of the group – but couldn’t keep a beat. Paul put out feelers with his school friends to find someone who could play bass and guitar, and as luck would have it, two close friends of Pauls, Kev Miller and Pat Schofield knew of two very tall, very talented lads who they met at Bolton Polish club. Kev arranged a meeting at Pauls house in late September 1967. Derek and Ian rolled up at Pauls 35 Kent Street home, loaded with a guitar each. Derek had a red Hofner Bass and Beak had a cheap unnamed 6-string guitar borrowed from Derek, and one 10-watt amp. Paul promptly presented his blue glitter Broadway kit his elder sister had lent him £30 to buy. All were suitably impressed by the fact that each one had their own equipment. Derek George Austin and Ian Boulton-Smith (Beak – as Ian was affectionately known to his friends and fans), plugged in and hit The Who’s I Cant Explain, not a song Paul was familiar with being a big Beatles fan. Derek made a caustic comment about the Beatles and got a drumstick thrown in his ear as a result, and a friendship was forged that lasts to this day. Both Beak and Derek were big fans of the blues. Especially John Mayalls Bluesbreakers and Alexis Korner, and lost no time in expanding Paul’s musical education to include this form of music, which Paul loved, mainly because he could improvise on the drums and show off a bit. He found he could improvise singing a tune over the top of the 12 bar chord structure too. A drummer taking lead vocals at this time was unheard of, which caused a search for a singer. First local long haired hippy Barry Simmister, who did not quite cut the mustard, but was a lovely guy. Following Barry was Paddy McCory who sang for the first gig under the name “Ways N ‘Means and who played at Paul’s School, English Martyrs in Farnworth Bolton around June 1968. 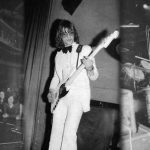 More gigs – and it was actually Paddy, who, being a Mod decided he just didn’t fit the image Paul, Beak and Derek were adopting – growing shoulder length hair and playing a much harder type of music from America and England – notably Mountain and Led Zeppelin. The numbers list for the first gig still exists, as does a tape recording of “Ways N’ Means” last rehearsal. When Paddy heard this recording, he grimaced at his voice and left. Paul gladly took over on lead vocals, a rarity for a drummer at the time. Beak always had a feeling something was missing and decided the group should have a second guitar – something Derek and Paul didn’t agree with. Two guitar bands were OUT – Cream and Jimi were IN. How wrong they were!! They relented and auditioned a few guitarists, who were pooh poohed on the grounds they were nowhere near as good as Beak (an original one of a kind!). So they tried an organist – Trevor Gooding from Denton in Manchester who played with the band for a few months during 69 and although enthusiastic, again did not quite fit the bill in the now re-named “Kincades Wood” (Beak had a thing about nature, the countryside and country pubs!) Having an organ in the group meant to do gigs they needed a van, so Beak’s good friend from college Steven Wood – who also played acoustic guitar (and was therefore nicknamed Dylan) joined because he could drive! They bought a green Bedford WorkOBus for £25. New gear was invested in. Paul bought a second hand mahogany Premier Kit, Derek kept the Hofner Bass, and bought a 50-watt Selmer ‘Treble N Bass’ amp and speaker. Birth started to become quite popular on the local club circuit and began to shape into a tight outfit. Playing became a much more regular event, and the band needed more help, which came in the shape of a friend of Paul’s from college Terry Willis. He was put in charge of the equipment and became “Gearie” and Dylan became “Roadie”. Terry even got in on the act doing a couple of comedy routines which although they made the band laugh, were not always understood by the audience. During the Birth period, Beak, Derek and Paul attempted to write songs. There were some good songs that were played live, and there were some not so good songs, which were rehearsed but never played live. The first song written was “Running Free” followed by “If You Can See Me”, “Freedom Head” “Battlements” “Sinister Minister” “Morias the Monk” “Writing Songs Singing Psalms” “A Marauding Face at the Window” “Derek Strange”, “Pretoria” (the story of a local mining disaster in Atherton, Lancs.). Odd how many were sort of a medival theme, then became Science fiction theme? Sadly they remain only in Pauls lyrics sheets in a lever arch file, and Dereks memory, but now – who knows, it may be time for a revival! A well-known local singer Tony Fearn became aware of the emerging band and wanted to be part of it. He was known to all the band members and was an excellent singer and front man in the bands he was with previously. It was difficult for a Drummer / Singer to front a band, and they felt they still needed something else, and decided to employ Tony. Tony had a reputation, not only as a singer but also a hardman, drinker and a womaniser (Brilliant – what more could we ask for!!). The band worried that if Tony did not work out he could damage the budding reputation of “Birth” – so it was decided by Derek, Beak and Paul not to wind up Birth, but create a new band around Tony – and this needed a new name the emerging Rock scene demanded a strong name. American bands like Mountain, Iron Butterfly, Grateful Dead and English bands like Led Zeppelin, Jethro Tull, all had great names – the band wanted something as strong. They were rehearsing one Sunday morning in a shop above the Lido cinema on Bradshawgate Bolton, the elderly lady cleaner was in listening to the conversation, Derek was in full flow, coming up with all sorts of ideas to signify hard Rock as Led Zep or Iron Butterfly – Derek (we think) popped out with “Iron Maiden – the old lady made an off the cuff remark in a high pitched Boltonian accent that sounded like …”Iron Maiden” – that’s a good name” and laughed (well more cackled actually) then carried on sweeping the hairs off the floor – and that was how the name came about. Now they needed some good material! Beak was a gentle soul, but could loose patience with Paul, who came up with all sorts of ideas, some (most) totally inappropriate for a Rock Band. 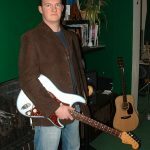 Derek had a quieter guiding influence on the emerging original material, all held together by his meticulous precise bass lines. Paul was learning to play guitar on a £3/10/- acoustic bought from Harker and Howarth in Bolton. Beak and Dylan taught him chords, and the band worked closely on many songs. Paul was becoming more agitated that all the ideas and lyrics he came up with were not used. Paul suffered with insomnia, unable to sleep, in the early hours after gigs, he heard Hocus-Pocus on Radio Luxembourg by an unknown Dutch band called Focus. He loved the opening riff and tried to emulate it. He reasoned that if they (Beak and Derek ) don’t like something like this, then they would never start writing original material. However, he really overdid the similarity – which caused a lot of trouble. He took the riff to Beak and Derek on the day before Tony Fearn joined; they loved the intro and together crafted the first original Iron Maiden song around it called “Crawl Crawl Night-time” – a story about the insomnia Paul was suffering from. It was some time later on Friday 2nd June 1972 at Wigan’s famous Fag Club, Tony Iommi and Norman Hood (manager) of Black Sabbath had arranged to come and see Maiden play, with a view to a management deal. The band was excited but calm and sat at the front of the club sipping their drinks. Unfortunately, the DJ that night had just discovered and unknown Dutch band called Focus, and a brilliant new track called Hocus Pocus………………….Oh dear! Paul really had no idea the riff he thought was just something similar had been so close to the original! As the music started, it quickly dawned on the others that they had heard this song somewhere before. If you could have seen the looks that Beak and Derek gave Paul, who was slowly trying to slide nonchalantly under the table. Accusations flew at Paul. The night became a disaster. Moral was low, Paul just could not sing with his heart in his boots. If Tony Iommi and Norman Hood did come that night, they did not hang around – not surprising really. The band eventually tweaked and changed the intro. On the day of the first rehearsal with Tony, the new 4 piece put together a simple rock song, which went on to become almost the bands signature tune. It was called “Cracked Path” with blatant references to drugs & coming down after an acid trip. Actually, no one in the band had then experimented with drugs apart from Tony, so the band relied on his knowledge of the subject. They had some publicity shots taken by Henry Heap a well-known avant-garde local photographer. (Photo split diagonally into 4 with ‘Iron Maiden’ in the footer – in the gallery) and in early 1970 started to gig as Iron Maiden. Things went well at first; with Tony came a new female following that the band didn’t have before! The gigs got bigger and they started to play all over the country. Tony had connections with agents who could get the band plenty of work, however these somewhat unscrupulous agents started to book the new rather loud rock band into Weddings and functions totally unsuited to their type of act. Songs were hastily learned. Tony of course had great experience in Pop so had no difficulty carrying it off – the difficulty was playing pop stuff from memory – but Derek and Beak in typical unruffled fashion managed it perfectly. Paul seemed to know every pop written and played and sang backing vocals with relative ease. They also started to play the college circuit where they could happily play their new original material, that started to go down well – mainly because they were SO LOUD! They played support to some other local and national bands and realised, if they had better gear – they could blow the other buggers off stage. So a fund was started to buy better, and more powerful equipment. This did not altogether suit Tony who being married with a son (Wayne) relied heavily on the money from the Iron Maiden gigs, and after a fracas involving Terry (Gearie) both he and the band felt he had to go. Again this left Paul in charge of singing, a job he would not relinquish again. It was early 1971 and the name Iron Maiden was becoming well known even without their fourth band member, and was regularly featured in the gig guides in all the national music papers. As the group did not have a manager, it was then decided to use the name “Birth” as their own management company “Birth Promotions” (See Gallery) and carry on as a three piece which was much easier than getting in a fourth person who never seemed to fit. Money was saved and Beak and Derek bought two Hiwatt Stacks, which looked, and sounded fantastic, a Gibson SG Standard for Beak and a Fender jazz bass for Derek. Beak had to pay a heavy price for his much loved SG Guitar though. Before his Dad would sign the HP agreement he insisted Beak had his long blond hair cut – which he reluctantly did – but it was the last time he ever did have it cut! He had to spend the next few weeks being ribbed horribly by Paul, Derek, Terry and Dylan, for looking like a Page-Boy! Paul invested in a second hand Ludwig Oyster Blue Classic Kit – just like Ringos! Hire Purchase by Paybonds, signed for by Pauls Dad, paid for a WEM PA system and everything was set. except for one item. We needed a good microphone. On the day of the first gig with Iron Maiden as a three piece at the Bluesology sessions at the Octagon in Bolton, whilst Paul and Terry were loading the drums into the van, Beak and Derek gave Paul a gift, bought from Booths Music in Bolton – a brand new Shure unidyne III THE microphone of the time. Paul was overwhelmed – this meant he was the singer in their eyes – he held the mic lovingly in his hands and promptly dropped it on the floor* as luck would have it the mic survived and so did the band. * The mic still survives and was used in Pauls Home studio to re-do vocals for the Maiden Flight album complete with the little crack where it fell. The next few months were spent building a strong reputation as support band to acts such as UFO, Procol Harum, VictorBrox Blues Band, Blackfoot Sue, Bedlam (with Cozy Powell) Mick Abrahams Band, Caravan, Chicken Shack, Climax Blues Band, Mungo Jerry, Love Affair and one gig with the new emerging band from Ireland Thin Lizzy. Manchester bands they became close to were Greasy Bear; The Morning After and The Victor Brox Band whose drummer Paul Burgess who later joined 10cc as second drummer to Kevin Godley. 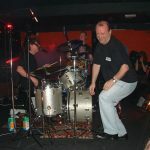 Greasy Bear’s drummer Bruce Mitchell, started a co-operative of bands run by and used by all the local Bands called “Music Force”.  This proved to be very successful, and Iron Maiden became a regular contributor to their ventures including a memorable trip in the early 70’s to a CND rally and march in Glasgow where all the Music force bands played for free. Bruce went on to found the Rock/Horror/Comedy band Albertos y Los trios Paranoia who staged the highly successful “Snuff The Musical” in the West End. Beak again became unsettled after the band had done their first recording session in late 1972 at Sirius Recording Studios in Farnworth, a small mono studio owned by agent William Leyland. Beak overdubbed a harmony guitar part on Crawl Crawl Night-time, and loved the result; he wanted that sound on stage. Looking back it is clear to see that Beak had the idea to progress to playing harmony guitars something many bands became successful with. Beak once talked of creating a rock guitar orchestra with up to 20 players – maybe one day! Paul still persevered writing on the small acoustic guitar. One important chord Beak taught Paul was a ringing open E chord used by Eric Bell of Thin Lizzy in the song “Remembering Part Two- A New Day” The new open chord opened a whole world to Paul, and spawned many songs from him – notably one of the bands first Science Fiction songs Red Sky. The Octagon Theatre in the hometown of Bolton started to put on Saturday afternoon Rock shows called Bluesology  (See Gallery). Eventually Iron Maiden was invited to participate, in November 1971. The band blagged their way to be top of the bill, making extravagant claims of topping the bill at the Cavern in Liverpool (actually they were the only band on – the other band didn’t show) but it worked and they closed the popular afternoon show. The number ended with our usual long rolling, cymbal crashing bang – and then – SILENCE – for what seemed like a lifetime, I looked up at the tiered seats and the people in them no one moved. Then as if a perfect cue had been given – the whole place erupted, clapped and cheered. My first reaction was disbelief, and then just as quickly I liked it, I bent down for my pint of water Terry always got for me held it up to the crowd and said “Cheers” always drink lots of water its good for your bum!” The place erupted again you’d have thought it was something really funny, not just something silly. We played around half a dozen numbers which included Cracked Path and Crawl Crawl Night time” each song getting better and louder applause. We finished with “Born To Be Wild”  and for the first time at Bluesology they demanded an encore – what we did for the encore – I really cannot remember but from then on things changes for us. He also spent every last penny as a student to make the very expensive 8mm films he shot of the band which he kindly put onto video for Pauls surprise 40th Birthday Party and in 2005 transferred the tapes to DVD. They employed Elvis look and sound alike Paul Guffogg (now singer Paul Neon) and keyboard player Alan Wickham. This band was run in parallel to IM and actually started to win their own audience. The whole thing was just a lot of fun. In 1974 Terry (Gearie) left. He was in danger of burning himself out, the band could all see it, but he could not, trying to be the bands wonderful roadie, but also trying to carry on in his studies and job. They didnt want him to go, but it was really best for him, which judging by his currently highly successful career was a good decision. On his birthday in May 1974, Dylan decided to leave the band as Road Manager, and start his own band “MANDELLA” he was replaced by Paul Hampson, a friend of Derek and Sag. Paul Hampson was an upbeat happy go lucky character, who fitted in so well the band all thought he’d always been there. Some people you meet in life are like that aren’t they! To replace Terry, a young chap called Dave Knight joined. Poor Dave suffered badly with the bands new toy – Paul Guffogs WEM Copycat Echo unit – he never seemed to master its controls, as can be witnessed during the drum solo on the Seven Stars version of Maiden Flight which was chosen to be used on the album Maiden Flight. A major shock in 1974 was Derek decided to leave out of the blue, but then Derek had always been a little like that. He was replaced in both IM and Teenagers by Noel Pemberton – Billing who had played 2nd guitar for a short-lived 4-piece version of Iron Maiden that Sag nicknamed “Nedium Nori”. Iron Maiden continued to perform until the news came of Beak’s diagnosis with testicular cancer in 1975. He had often complained of pains, but just never got around to seeing a doctor. The band played its last gig at the Seven Stars in Heywood Lancs, which was fortunately recorded by Sag. On Sags own GIGS IVE ATTENDED LIST there was another listed at the Trotters pub in Bolton, but no one remembers that one (possible problems with Beak’s health). Today Derek is now a horticulturist for Trafford Council, is separated from his long time partner but has an adopted son Tom, who he dotes on. He still dabbles in music and performs a Magic act. Dylan still lives in Bolton and has settled down with his wife Heather McKenzie and young daughter Josie and works in Quality Assurance. 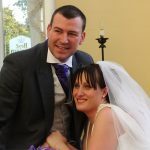 Terry is a high-powered manager in a multinational company based in Dubai and is married to Hazel and has a daughter Bethany (Pauls Goddaughter). Paul Hampson is a successful grower and owns a nursery with his wife Gill and daughters Jade and Kim. Brenda Boulton-Smith. We were looking for Beaks sister Brenda in Bolton – we lost contact in the late 90’s. Thanks to the Bolton Evening News, we have now re-connected with Beaks sisters Brenda and Jean, and nephew Mark and Rachel his niece , and just as important have found long lost bassist and composer Noel Pemberton-Billing. Still not been able to contact or find the last roadie – Dave Knight Last heard of in the Bradford area – anyone with any information on where Dave is – -please contact us via the Contacts page on this site. All are still friends to today and phone and visit each other often. All feel the same – a CD tribute to Beak on the 30th anniversary of his death would be a fitting tribute to a very fine guitarist and songwriter. Paul, Derek and Noel would like to thank THE Iron Maiden and Manager Rod Smallwood for their kindness shown towards this project.